I promised that I wouldn't post about my "social media birth plan" until my hospital bag was at least packed. CHECK! Baby Girl is FULL TERM as of yesterday! I've been over analyzing every single ache, pain, and cramp. Any symptom, you name it - I've probably googled it! I fell asleep while doing a little research on "cervical ripening" last night. Stephen was slightly horrified to find that when he took the laptop from me! I've officially been feeling like a ticking time bomb. Honestly I'm thinking because I am SO anxious, I will be at least a week late! Anyone who knows me KNOWS I'm the most impatient person EVER...no really! 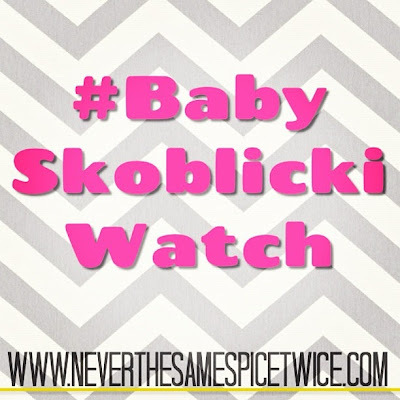 Regardless, I'd like to kick off Baby Skoblicki Watch! Of course I have a social media birth plan in effect! You didn't think I would leave you all hanging? I would never just disappear for a week, come back and be all like "Oh hey, by the way...I had the baby". SO not my style. Realistically, I know I will be just a tad preoccupied. The last thing I want to be thinking about is updating my blog, and all of my other social media! Baby Girl is getting my undivided attention! My girl Mallory is on it for me. Surely she will be receiving updates, and she will help me keep you all in the loop! Hubby has also been given very specific instructions to make sure my Twitter and Instagram are updated every so often! Now I can't promise a full report as to every centimeter I am dilating (and I'm assuming you would rather not know all of that anyway)...but my goal is to keep you all in updated as much as possible! Keep an eye out for the "It's Baby Time" button! Moral of the story....NOW is the time to make sure you are following! I love that you have a social media birth plan! Too cute! Let the baby watch begin! So exciting! Being anxious and overanalyzing everything is totally ok and normal ;) Love that you'll be doing regular updates, it's always fun to share in on the exciting moment! Oh muh gawd! As the tears form in my eyes-- you know I'm gonna need a text or something, right!? So fun! 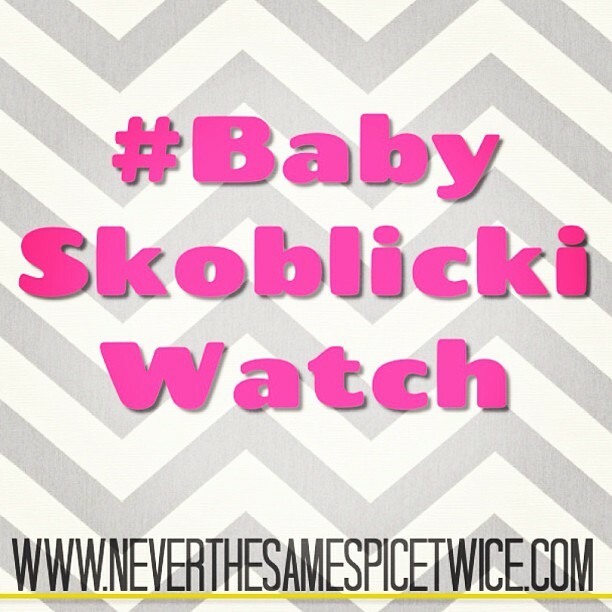 With all these pregnant bloggers, I love checking Instagram for baby updates! This is such a fun way to share! 5 weeks for me! I overanalyzed EVERYTHING too! But trust me, you will KNOW when you're in labor! When Mallory told me about your social media birth plan I was laughing hysterically...I'm stalking you so I cannot wait to see that you've gone into labor! !